presentation skills in English 1. Practice! Naturally, you'll want to rehearse your presentation multiple times. While it can be difficult for those with packed schedules to spare time to practice, it's essential if you want to deliver a rousing presentation. I’m famous around the office for staying up late the night before a big presentation, practicing over and over. If you really want to sound great, write out your speech rather than taking chances winging it – if you get nervous about speaking, a script is your best friend. Try to practice where you'll be delivering your talk. Some acting strategists suggest rehearsing lines in various positions – standing up, sitting down, with arms open wide, on one leg, while sitting on the toilet, etc. (OK, that last one may be optional.) The more you mix up your position and setting, the more comfortable you'll feel with your speech. Do a practice run for a friend or colleague, or try recording your presentation and playing it back to evaluate which areas need work. Listening to recordings of your past talks can clue you in to bad habits you may be unaware of, as well as inspiring the age-old question: "Is that what I really sound like?" 2. Transform Nervous Energy Into Enthusiasm. It may sound strange, but I'll often down an energy drink and blast hip-hop music in my earphones before presenting. Why? It pumps me up and helps me turn jitters into focused enthusiasm. Studies have shown that an enthusiastic speech can win out over an eloquent one, and since I'm not exactly the Winston Churchill of presenters, I make sure that I'm as enthusiastic and energetic as possible before going on stage. Of course, individuals respond differently to caffeine overload, so know your own body before guzzling those monster energy drinks. presentation tips 3. Attend Other Presentations. If you're giving a talk as part of a conference, try to attend some of the earlier talks by other presenters to scope out their presentation skills and get some context. This shows respect for your fellow presenters while also giving you a chance to feel out the audience. What's the mood of the crowd? Are folks in the mood to laugh or are they a bit more stiff? Are the presentations more strategic or tactical in nature? Another speaker may also say something that you can play off of later in your own presentation. 4. Arrive Early. It's always best to allow yourself plenty of time to settle in before your talk. Extra time ensures you won't be late (even if Google Maps shuts down) and gives you plenty of time to get adapted to your presentation space. 5. Adjust to Your Surroundings. The more adjusted to your environment you are, the more comfortable you'll feel. Make sure to spend some in the room where you will be delivering your presentation. If possible, practice with the microphone and lighting, make sure you understand the seating and be aware of any distractions potentially posed by the venue (e.g., a noisy road outside). larry kim presentation tips 5 minutes before my Inbound presentation … gulp 6. Meet and Greet. Do your best to chat with people before your presentation. Talking with audiences makes you seem more likeable and approachable. Ask event attendees questions and take in their responses. They may even give you some inspiration to weave into your talk. Want more great tips? Check out our Digital Marketer's Road Map! 7. Use Positive Visualization. Whether or not you’re a Zen master, know that plenty of studies have proven the effectiveness of positive visualization. When we imagine a positive outcome to a scenario in our mind, it's more likely to play out the way we envision. Instead of thinking "I'm going to be terrible out there" and visualizing yourself throwing up mid-presentation, imagine yourself getting tons of laughs while presenting with the enthusiasm of Jimmy Fallon and the poise of Audrey Hepburn (the charm of George Clooney wouldn't hurt either). Positive thoughts can be incredibly effective – give them a shot. presentation skills 8. Remember That Most Audiences Are Sympathetic. One of the hardest fears to shake when speaking in public is that the audience is secretly waiting to laugh at your missteps or mistakes. Fortunately, this isn’t the case in the vast majority of presentations. The audience wants to see you succeed. In fact, many people have a fear of public speaking, so even if the audience seems indifferent, the chances are pretty good that most people listening to your presentation can relate to how nerve-racking it can be. If you start to feel nervous, remind yourself that the audience gets it, and actually wants to see you nail it. 9. Take Deep Breaths. The go-to advice for jitters has truth to it. When we're nervous, our muscles tighten--you may even catch yourself holding your breath. Instead, go ahead and take those deep breaths to get oxygen to your brain and relax your body. 10. Smile. Smiling increases endorphins, replacing anxiety with calm and making you feel good about your presentation. Smiling also exhibits confidence and enthusiasm to the crowd. And this tip works even if you're doing a webinar and people can't see you. Just don't overdo it – no one enjoys the maniacal clown look. creepy clown Don’t be like this guy. 11. Exercise. Exercise earlier in the day prior to your presentation to boost endorphins, which will help alleviate anxiety. Better pre-register for that Zumba class! 12. Work on Your Pauses. When you're nervous, it's easy to speed up your presentation and end up talking too fast, which in turn causes you to run out of breath, get more nervous, and panic! Ahh! Don't be afraid to slow down and use pauses in your speech. Pausing can be used to emphasize certain points and to help your talk feel more conversational. If you feel yourself losing control of your pacing, just take a nice pause and keep cool. 13. Don’t Try to Cover Too Much Material. Yes, your presentations should be full of useful, insightful, and actionable information, but that doesn’t mean you should try to condense a vast and complex topic into a 10-minute presentation. 90 slides in 30 minutes? Only from @larrykim #stateofsearch http://t.co/uttijruots — Kate Gwozdz (@KateGwozdz) November 17, 2014 Knowing what to include, and what to leave out, is crucial to the success of a good presentation. I’m not suggesting you skimp when it comes to data or including useful slides (some of my webinars have featured 80+ slides), but I am advocating for a rigorous editing process. If it feels too off-topic, or is only marginally relevant to your main points, leave it out. You can always use the excess material in another presentation. 14. Actively Engage the Audience. People love to talk and make their opinions heard, but the nature of presentations can often seem like a one-sided proposition. It doesn’t have to be, though. Asking the audience what they think, inviting questions, and other means of welcoming audience participation can boost engagement and make attendees feel like a part of a conversation. It also makes you, the presenter, seem much more relatable. Consider starting with a poll or survey. Don’t be put off by unexpected questions – instead, see them as an opportunity to give your audience what they want. how do I improve my presentation skills Hopefully this man has a question, and doesn’t just need to go to the bathroom. 15. Be Entertaining. Even if your presentation is packed with useful information, if your delivery bombs, so will your session. I find that including some jokes and light-hearted slides is a great way to help the audience (and myself) feel more comfortable, especially when presenting them with a great deal of information. However, it’s important to maintain a balance – after all, you’re not performing a stand-up routine, and people didn’t come to your presentation with the sole intention of being entertained. That said, don’t be afraid to inject a little humor into your talk. If you’re not sure about whether a presentation is “too much, ” run through it for a couple of friends and ask them to tell it to you straight. 16. Admit You Don’t Have All the Answers. Very few presenters are willing to publicly concede that they don’t actually know everything because they feel it undermines their authority. However, since we all know that nobody can ever know everything about a given topic, admitting so in a presentation can actually improve your credibility. I don't know If someone asks a question that stumps you, it’s okay to admit it. This can also increase your credibility with the audience, as it demonstrates that, no matter how knowledgeable a person might be, we’re all learning, all the time. Nobody expects you to be an omniscient oracle of forbidden knowledge – they just want to learn from you. 17. Use a Power Stance. Practicing confident body language is another way to boost your pre-presentation jitters. When your body is physically demonstrating confidence, your mind will follow suit. While you don't want to be jutting out your chest in an alpha gorilla pose all afternoon (somebody enjoyed Dawn of the Planet of the Apes a bit too much), studies have shown that using power stances a few minutes before giving a talk (or heading to a big interview) creates a lasting sense of confidence and assurance. Whatever you do, don't sit--sitting is passive. Standing or walking a bit will help you harness those stomach bats (isn't that more appropriate than butterflies?). Before you go on stage, strike your best Power Ranger stance and hold your head high! presentation power stance 18. Drink Water. Dry mouth is a common result of anxiety. Prevent cottonmouth blues by staying hydrated and drinking plenty of water before your talk (just don't forget to hit the bathroom before starting). Keep a bottle of water at arm's reach while presenting in case you get dry mouth while chatting up a storm. It also provides a solid object to hurl at potential hecklers. (That'll show 'em.) 19. Join Toastmasters. Toastmaster clubs are groups across the country (and the world) dedicated to helping members improve their presentation skills. Groups get together during lunch or after work to take turns delivering short talks on a chosen topic. The more you present, the better you'll be, so consider joining a Toastmaster club to become a top-notch orator. Just don't forget, it's BYOB (Bring Your Own Bread). 20. Don't Fight the Fear. Accept your fear rather than trying to fight it. Getting yourself worked up by wondering if people will notice your nervousness will only intensify your anxiety. Remember, those jitters aren't all bad – harness that nervous energy and transform it into positive enthusiasm and you'll be golden. We salute you, O Captain! My Captain! 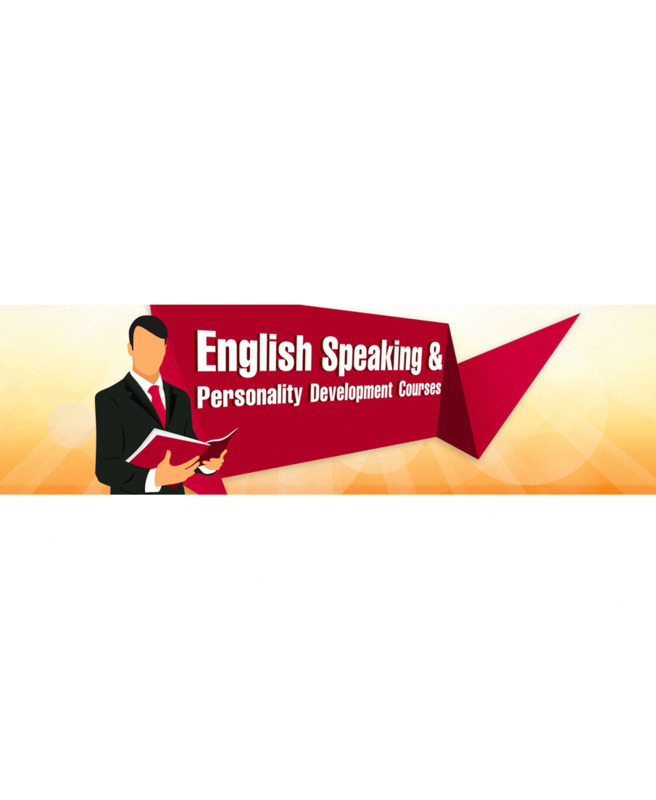 Personality Development Classes in Nagpur. INTERVIEW TIPS 1. Conduct Research on the Employer, Hiring Manager, and Job Opportunity Success in a job interview starts with a solid foundation of knowledge on the jobseeker’s part. You should understand the employer, the requirements of the job, and the background of the person (or people) interviewing you. The more research you conduct, the more you’ll understand the employer, and the better you’ll be able to answer interview questions (as well as ask insightful questions see #8). Scour the organization’s website and other published materials, search engines, research tools, and ask questions about the company in your network of contacts. Learn more about job search job interview researching here. 2. Review Common Interview Questions and Prepare Your Responses Another key to interview success is preparing responses to expected interview questions. First, ask the hiring manager as to the type of interview to expect. Will it be one-on-one or in a group? Will it be with one person, or will you meet several members of the organization? Your goal is to try to determine what you’ll be asked and to compose detailed yet concise responses that focus on specific examples and accomplishments. A good tool for remembering your responses is to put them into a story form that you can tell in the interview. No need to memorize responses (in fact, it’s best not to), but do develop talking points. There are excellent tools available to help you with interview questions and responses. Also, consider using the STAR Interviewing Technique. 3. Dress for Success Plan out a wardrobe that fits the organization and its culture, striving for the most professional appearance you can accomplish. Remember that it’s always better to be overdressed than under and to wear clothing that fits and is clean and pressed. Keep accessories and jewelry to a minimum. Try not to smoke or eat right before the interview and if possible, brush your teeth or use mouthwash. Find more detailed advice including specifics for men and women jobseekers in our article, When Job-Hunting, Dress for Success. 4. Arrive on Time, Relaxed and Prepared for the Interview There is no excuse ever for arriving late to an interview. Short of a disaster, strive to arrive about 15 minutes before your scheduled interview to complete additional paperwork and allow yourself time to get settled. Arriving a bit early is also a chance to observe the dynamics of the workplace. The day before the interview, pack up extra copies of your resume or CV and reference list. If you have a portfolio or samples of your work, bring those along too. Finally, remember to pack several pens and a pad of paper to jot notes. Finally, as you get to the offices, shut off your cell phone. (And if you were chewing gum, get rid of it.) For additional tips and advice, read our article, 24-Hour Countdown to the Job Interview. 5. Make Good First Impressions A cardinal rule of interviewing is to be polite and offer warm greetings to everyone you meet from the parking attendant to the receptionist to the hiring manager. Employers often are curious how job applicants treat staff members and your job offer could easily be derailed if you’re rude or arrogant to any of the staff. When it’s time for the interview, keep in mind that first impressions the impression interviewers get in the first few seconds of meeting you can make or break an interview. Make a strong first impression by dressing well (see #3), arriving early (see #4), and when greeting your interviewer, stand, smile, make eye contact, and offer a firm but not bone-crushing handshake. Remember that having a positive attitude and expressing enthusiasm for the job and employer are vital in the initial stages of the interview; studies show that hiring managers make critical decisions about job applicants in the first 20 minutes of the interview. 6. Be Authentic, Upbeat, Focused, Confident, Candid, and Concise Once the interview starts, the key to success is the quality and delivery of your responses. Your goal should always be authenticity, responding truthfully to interview questions. At the same time, your goal is to get to the next step, so you’ll want to provide focused responses that showcase your skills, experience, and fit with the job and the employer. Provide solid examples of solutions and accomplishments but keep your responses short and to the point. By preparing responses to common interview questions (see #2), you’ll ideally avoid long, rambling responses that bore interviewers. Always attempt to keep your interview responses short and to the point. Finally, no matter how much an interviewer might bait you, never badmouth a previous employer, boss, or co-worker. The interview is about you and making your case that you are the ideal candidate for the job. Read about more interview mistakes in our article, Avoid These 10 Interview Bloopers Critical Jobseeker Mistakes. 7. Remember the Importance of Body Language While the content of your interview responses is paramount, poor body language can be a distraction at best or a reason not to hire you at worst. Effective forms of body language include smiling, eye contact, solid posture, active listening, and nodding. Detrimental forms of body language include slouching, looking off in the distance, playing with a pen, fidgeting in a chair, brushing back your hair, touching your face, chewing gum, or mumbling. Read more about perfecting your body language in our article, The Unspoken Secrets of Job Interviewing: How Your Nonverbal Presentation and Behaviors Impact the Impression You Make. 8. Ask Insightful Questions. Studies continually show that employers make a judgment about an applicant’s interest in the job by whether or not the interviewee asks questions. Thus, even if the hiring manager was thorough in his or her discussions about the job opening and what is expected, you must ask a few questions. This shows that you have done your research and that you are curious. The smart jobseeker prepares questions to ask days before the interview, adding any additional queries that might arise from the interview. For an idea of questions you could ask at the interview, see our article, Questions You Can Ask at the Job Interview, as well as our article, Make a Lasting Impression at Job Interviews Using Questions. 9. Sell Yourself and then Close the Deal The most qualified applicant is not always the one who is hired; the winning candidate is often the jobseeker who does the best job responding to interview questions and showcasing his or her fit with the job, department, and organization. Some liken the job interview to a sales call. You are the salesperson and the product you are selling to the employer is your ability to fill the organization’s needs, solve its problems, propel its success. Finally, as the interview winds down, ask about the next steps in the process and the timetable in which the employer expects to use to make a decision about the position. See our article, Closing the Sale and Overcoming Objections in Job Interview. 10. Thank Interviewer(s) in Person, by Email, or Postal Mail. Common courtesy and politeness go far in interviewing; thus, the importance of thanking each person who interviews you should come as no surprise. Start the process while at the interview, thanking each person who interviewed you before you leave. Writing thank-you emails and notes shortly after the interview will not get you the job offer, but doing so will certainly give you an edge over any of the other finalists who didn’t bother to send thank-you notes. For more tips on writing thank-you notes, read this article: 10 Tips for Writing a Job-Search Interview Thank-You Letter. You can also check out these job interview thank-you letter samples. Final Thoughts on Job Interview SuccessSucceeding in job interviews takes research, practice, and persistence. The more effort you put into your interview preparation, the more success you’ll see in obtaining job offers especially if you remember and follow these ten job interviewing tips. effective communication Learn to Listen Listening is not the same as hearing; learn to listen not only to the words being spoken but how they are being spoken and the non-verbal messages sent with them. Use the techniques of clarification and reflection to confirm what the other person has said and avoid any confusion. Try not to think about what to say next whilst listening; instead clear your mind and focus on the message being received. Your friends, colleagues and other acquaintances will appreciate good listening skills. Be Aware of Other People's Emotions Be sympathetic to other people's misfortunes and congratulate their positive landmarks. To do this you need to be aware of what is going on in other people’s lives. Make and maintain eye contact and use first names where appropriate. Do not be afraid to ask others for their opinions as this will help to make them feel valued. Consider the emotional effect of what you are saying and communicate within the norms of behaviour acceptable to the other person. Take steps to become more charismatic. See our page: Emotional Intelligence for more information. Empathise Empathy is trying to see things from the point-of-view of others. When communicating with others, try not to be judgemental or biased by preconceived ideas or beliefs - instead view situations and responses from the other person’s perspective. Stay in tune with your own emotions to help enable you to understand the emotions of others. If appropriate, offer your personal viewpoint clearly and honestly to avoid confusion. Bear in mind that some subjects might be taboo or too emotionally stressful for others to discuss. Encourage Offer words and actions of encouragement, as well as praise, to others. Make other people feel welcome, wanted, valued and appreciated in your communications. If you let others know that they are valued, they are much more likely to give you their best. Try to ensure that everyone involved in an interaction or communication is included through effective body language and the use of open questions.